2008 Master Plan for Rizal Park. 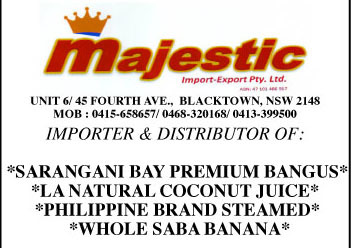 one of the most significant and fantastically historic for RPMC and to the Filipino Community in Australia. We not only have a beautiful Rizal Park in this part of the world, adorned with a colossal Rizal Statue being the third tallest (5 meters) in the world after Rizal statues located in Calamba (6.9 meters) and Rizal Park Luneta (6.2 meters) , and highlighted by being unveiled by our beloved President of the Philippines, Benigno S. Aquino. The Campbelltown City Council has done a great job in transforming this park into a green-friendly piece of land for people from all walks of life to enjoy. Now we are proud of our Rizal Park, of our Rizal Statue, and of the Philippine President leading the Unveiling Ceremony. Going back In 1987, The Philippine-Australian Friendship Association (PAFA) Mr Gerard Colbach and Christopher Krause petitioned and lobbied for a park to be named after the Philippine national hero Dr Jose Rizal. On 2 June 1988, the reserve was officially named Rizal Park registered under New South Wales Government Gazette Folio 9964. Although the development of the park lay dormant for a few years, Kagrupo Radio Club, an association based in Campbelltown, ensured the park was cleaned up and maintained annually since 1993 and conducted cleaning activities during Clean Up Australia Day. In 2006, the call for the development and improvements of Rizal Park was re-invigorated by Campbelltown and Region Filipino Community Council under the leadership of Lourdes Kaiser. In June 2007, a street in Park Central, Campbelltown was named Rizal Street. Through the prodding of then Consul General Ma Theresa Lazaro, the Rizal Park Movement of Campbelltown (RPMC) was born. The movement was created by Campbelltown residents to specifically advocate for the development of facilities and structures at Rizal Park. With the support of the Philippine Consulate General, Sydney and the newly formed group RPMC, the 2008 Master Plan for Rizal Park was agreed to be developed by the Campbelltown City Council under the mayorship of then Councillor Aaron Rule. In this plan, the Rizal Statue would be the last phase of the development. Between 2008 and 2011, several activities were held at the park highlighted by a Ground Breaking Ceremony with then Mayor Russell Matheson and then Consul General Eva Betita. In May 29 2009, the Rizal Park Master Plan was presented publicly. The first facility to be constructed in the park was the Children’s playground made possible through stimulus package by the Federal government, followed by other facilities like sheds, electric barbeque facilities, landscaping along Anthony Drive and a new wall with Rizal Park sign. These other facilities were completed during the time of former Campbelltown Mayors, Cr. Paul Lake and Cr. Anoulack Chanthivong. In June 2011, the incumbent Consul General Anne Jalando-on Louis informed RPMC that Ambassador Belen Anota, was able to secure a statue through Mr Eduardo Castrillo, a renowned Philippine sculptor. This statue was donated by Mr Castrillo to the Philippine Government which in turn presented the Rizal statue to the Campbelltown City Council. At a Japanese Restaurant in Greenbelt Makati in 29 July 2011, I first met Ambassador Belen Anota, accompanied by Assistant Secretary of Department of Foreign Affairs Ma Theresa Lazaro. The Ambassador confirmed that the statue is finally arriving in Sydney. I was then tasked to conduct fund raising for the pedestal of Rizal statue. She added she would invite dignitaries who will unveil the statue. During the Annual General Meeting of RPMC in September 2011, I was elected President and we embarked on increasing the membership of RPMC and lined up the fund-raising activities to generate funds required by the Campbelltown City Council. Aawitan Kita sa Australia, led by Armida Siguion Reyna was the first project RPMC implemented with two well-attended showings at Marconi Club. This project was made possible through the encouragement of David Redoblado and Marte Tagle. This was followed by a series of the showings of the play by Leonor Orosa Goquingco, HER SON, JOSE RIZAL. The first staging at Parramatta, directed by Armando Reyes, organised and coordinated by the Philippine Consulate General, Sydney and the Philippine Community Council in November 2011. The second staging was in Campbelltown Arts Centre, Campbelltown in March 2012, directed by Father Larry Tolentino. There were two matinee shows, one evening show, and one Gala Night show in three consecutive days. The third showing at Peninsula Theatre in Woywoy, Central Coast, directed by Ferdie Dimaano, organised and coordinated by the Ilocano Association of Australia. Milette Orosa played an important role of liaising between RPMC and her family. Permission to re-stage the play was given by Dr Benjamin Goquingco through Rosalinda Orosa. There was also the Fun Bingo and Trivia held at Campbelltown Civic Centre, Campbelltown in 19 February 2012. The highlight of this event was Bingo numbers were called by then Mayor of Campbelltown Anoulack Chanthivong, some numbers called in Tagalog to the delight of bingo players. The final fund raising event was the Gala Night Dinner held at Wests League Club on 4 August, with Silent Auction and Raffle Draw. The number one source of contributions came from the subscriptions to the Benefactors’ Wall with Platinum Benefactor donating $5,000, Gold Benefactor donating $2,000 and Silver Benefactor donating $1,000. This solicitation was able to raise $50,000, enough to comply with the Council’s financial requirements of $46,000. With the Presidential State Visit and the participation of the Philippine President in the Unveiling Ceremony, the big event became bigger and the control of the Unveiling Ceremony became the responsibilities of the Philippine and Australian Government. The Malacanang’s Office of Presidential Protocol and the Presidential Security Group; the Australian Federal Police; the Protocol Offices of both the Office of the Prime Minister and the NSW Office of the Premier; the Philippine Embassy in Canberra and The Philippine Consulate General in Sydney became busy with the planning and preparation. The Campbelltown City Council shifted to fast gear and transformed Rizal Park into aesthetically pleasing park and wonderful place to relax. Kudos to the Council for their wonderful efforts in beautifying the inspiring dwelling place of our gigantic Rizal statue. RPMC greatly matured in the turn of events and the professionalism exhibited in the running of the fund-raising campaigns and in its task of serving as the Working Committee for the Unveiling Ceremony was exemplary. As a composite group of people and associations from Campbelltown and an offshoot from the Campbelltown and Region Community Council (CRFCC) headed by Lourdes Kaiser, we take pride in our membership and of our members coming from the officers of Philippine Community Council – myself and Elsa Collado, Order of the Knights of Rizal, Sydney Chapter (OKOR) – Max Lopez; Kagrupo Radio Group – Ross Santos and Carlito Garcia, Filipino and Friend Parish Community Association - Aida Duyvestyn, Lita Smith and Rick Dalangin, Filipino Mass Committee – Connie Ramsey and Renee Estrella, MacArthur Women’s Support Group – Teresita Soriano and Jo Bonto; Blessed Pedro Calungsod – Pikes Garcia; Samahang Magigiting – Lucas Alcantara; and CRFCC - Cora Michel. Our members are Alfredo Tidon, Alice Martin, Antonio Soliven, Corazon Greaves, Elizabeth Golla, Isidro Velasquez, Josie Agoo, Juanito Soliven, Julius Obungen, Leonardo Ramos Jr, Lillian de los Reyes, Lorenzo Raboy, Marie Zawadka Marissa Manoto, Merlinda Bainbridge, Noel Parale, Peter Cuyno, Phillip Smith, and Rogelio Cervantes. In the Unveiling Ceremony, the planning, organisation and preparation took a lot of twists and turns and indeed the most difficult part given the conditions and restrictions set by Australian Federal Police and the Presidential Security Group. The instructions were for everyone to be seated and no movement of people around the park. The Council and the Consulate, with Consul General Louis as the focal person, did their best to comply with these requirements by setting the minimum number of people who could attend, hence the culling of the initial list. The Council only allotted 300 seats on wooden platform especially made for the occasion. These were distributed to the RPMC, Consulate and Council with 100 seats each. With the limited number of seats, the benefactors were given prior ity and all of them were consulted. The three main groups, RPMC, OKOR, and Kagrupo being the focal groups were also given seat allocations. Although the preparation for the event was not easy, the execution went according to plan and by the book. The outcome was magnificent. The Unveiling Ceremony of Rizal Statue in Rizal Park in Rosemeadow in the City of Campbelltown was a resounding success. The pomp and splendour of the event reflected the Presidential presence of His Excellency Benigno Aquino. There was a welcoming party; the grand entrance on red carpet; the national anthems; welcome of the Mayor of Campbelltown, Hon. Sue Dobson; the Remarks of the Premier of New South Wales, Hon. Barry O’Farrell; and the highlight of the ceremony, unveiling of Rizal Statue by President Aquino assisted by the Mayor Sue Dobson; the Blessing of the statue by Bishop Peter Ingham; followed by the Introduction of guest speaker by DFA Secretary Albert del Rosario; and the inspiring speech of the President. The 20-minute program went on and was extended by a few minutes because of the photo opportunity. The last minute decision to have the photo-op was made upon the request of the Council and RPMC. The rare chance presented itself to the delight of those who were given the privilege to have momentous photos with the President. There were also disappointments from some sectors because they did not get that privilege, although in general they were happy. The missing out on the opportunity of the lifetime to have a souvenir photo with President Aquino especially from the members and officers of RPMC was greatly felt. My feeling was I let them down, their hard work, constant meetings, the series of fund-raising events, the workshops, things they went through seemed to be taken for granted. Despite this proverbial mote in the eye, RPMC officers and members were delighted about the turn of events and highly appreciative of the culminating outcome. We never dreamed that President Aquino would unveil the colossal statue. Our dream was only for the Rizal statue to stand in our midst. We owe both events to the diligence and perseverance of Ambassador Belen Anota. Another phenomenon worth mentioning in this Inside Story is the support and cooperation of the Benefactors and the donors, the attendees to our series of activities, sellers of event tickets or raffle stubs, people who did our website, artwork designs and printing of materials produced, people who helped conduct the various events. The public should also be made aware of the unstinting contributions made by the National Commission for Culture and the Arts (Philippines) headed by Executive Director Emelita Almosara for the Jose Rizal marker. Also the financial contributions of the members of the Philippines Australia Business Council headed by its Chairman Albert M G Garcia for underwriting the shipment of the statue from Manila to Sydney to the tune of PHP200,000.00. The cargo forwarding services free-of-charge provided by Australian Vanlines represented by Mr Parma Sologar. These were coordinated by our Ambassador Anota and Consul General Jalando-on Louis. To our Gold and Silver benefactors who donated substantial amount to a collective sum of $50,000, we thank them for their trusts and confidence. These benefactors can rightfully claim being part of the success and the magnificent outcome of the event. For over a year, solicitations of donations from organisations, families and individuals took place, publicly and privately, in meetings, in groups or one on one, voluntary or coerced, through intermediaries. The common experience is that the rate of rejection is high, acceptance is low. For this given task of raising funds for the construction of pedestal and benefactors’ wall, including the landscaping surrounding statue, RPMC was able to deliver. After the euphoria, what’s next? RPMC can simply say, now our hero stands high and mighty, we move on.